Hello all, this is my middle school lesson plan for our first after school English class for 2016. I will be teaching a middle school class after school for a couple months. I am using a textbook to get topic ideas and later will include some grammar activities that are in the textbook as well. I was able to find the textbook free online in PDF file format. I strongly recommend it for a guide but I have heavily adjusted the vocab and expressions to ESL lower level students. 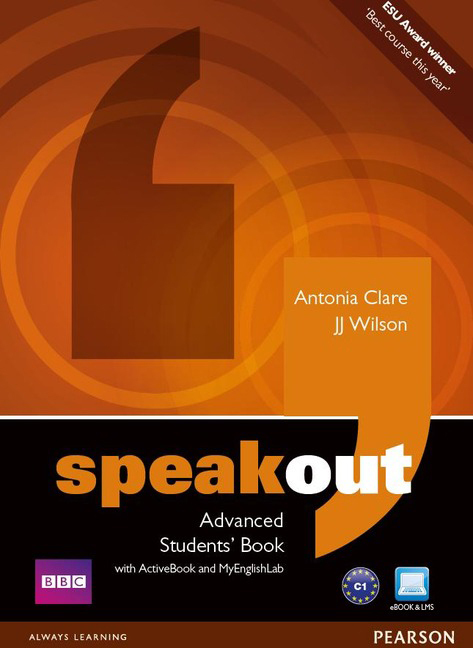 It's called Speak-out Advanced Student's Book -hurry and download it before it disappears! I made a PowerPoint and I made a couple handouts, all which you can download for free on my teachers pay teachers page. Click to download. 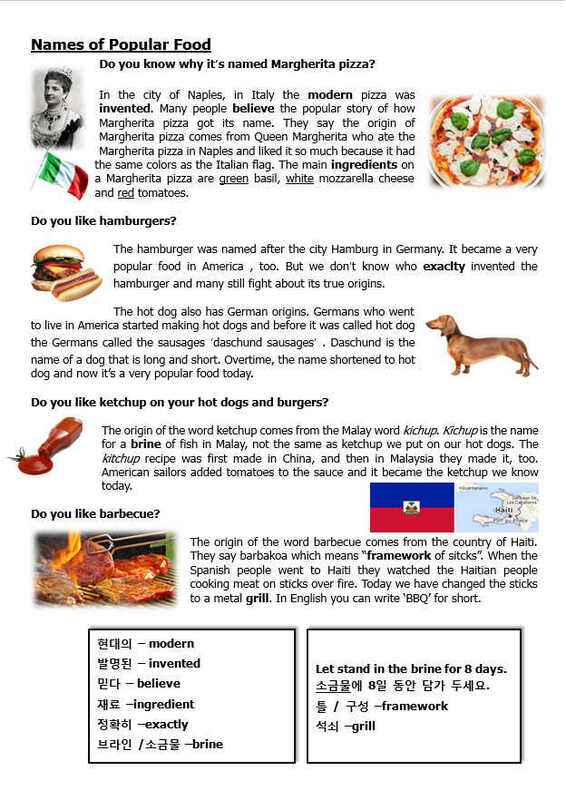 **disclaimer** Some of the Korean translations might be wrong, my students helped me change the word for initials - please note that, I am not a Korean speaker. Thanks. HOWEVER, PLEASE REMEMBER to change the slides in the PowerPoint and input name information about YOU, change MY photo to yours, etc. It is a introduction class which is why there are a few picture and facts about me. 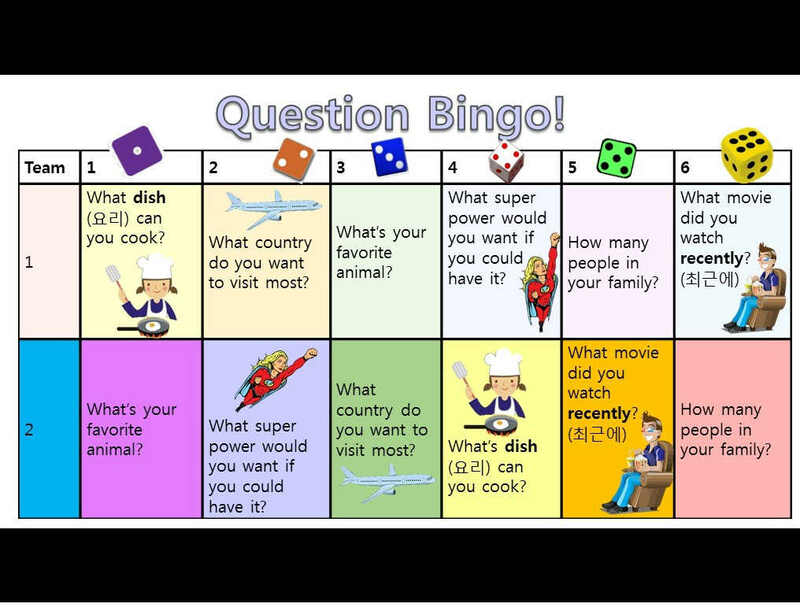 But I left them in so you know how to edit it and what facts to put according to the lesson topic. Below is my lesson plan so you can get an idea of the lesson! Update! I found this cute and fun video for warm up - it's K pop stars saying Western female names. English subtitles included. You will need 2 handouts & 1 PowerPoint for this lesson. This lesson can be used for 2 different classes, about 4 hours total = includes breaks. *Write a few introduction sentences on the board to help them speak. Roll the dice Bingo game. First slide in PPT. Separate the class into 2 teams. You should mark an X in the box they have read and answered. Whichever team is able to get 4 X’s in a row, gets bingo and wins. So if team members roll the same number as a past team member they simply answer the question again but no new X for their bingo. Go over your name, origin and meaning. 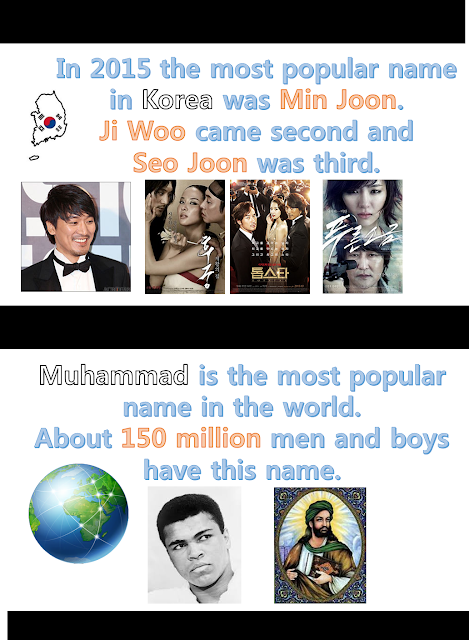 Discuss with them –the popularity of their name in Korea, their initials or any famous people with their name. 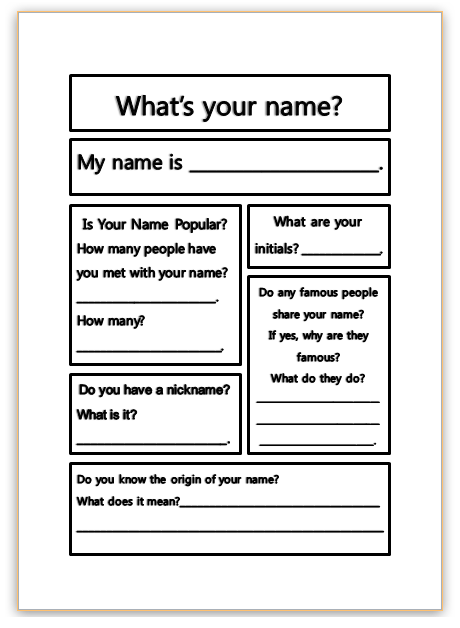 Use the name worksheet if you need, for them to write as they discuss. Read the text and discuss the bold words. Ask students to read together as well as volunteer readers to read to the class. If a small class break the reading into parts and have every student read a part of it. What is Hulk’s real name? What type of scientist is Bruce Banner? 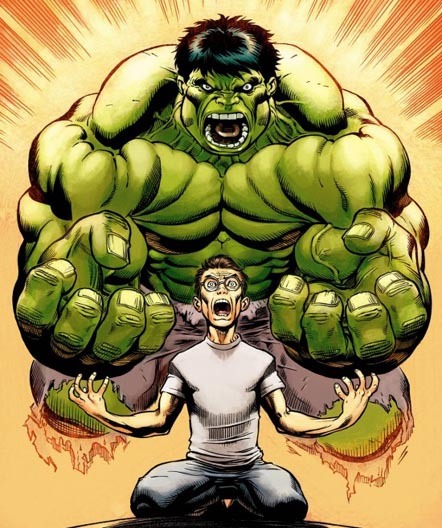 What comic book company is Hulk from? What color are the markings on a Black Widow spider? What does the spider eat? 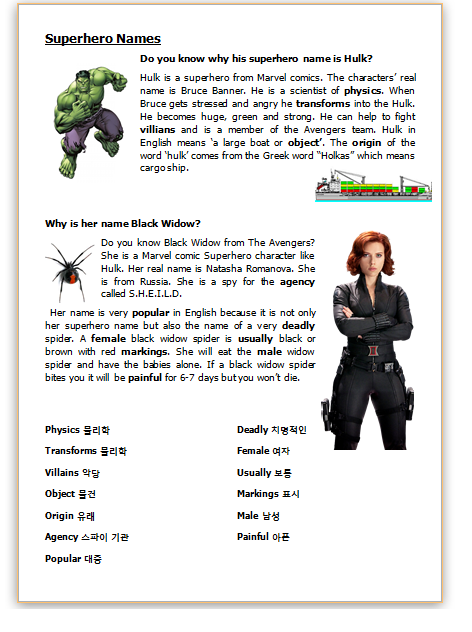 What is Black Widow’s real name? Where is Black Widow from? Talk about their nicknames around the class. Play the guessing game. The clues are in the readings. 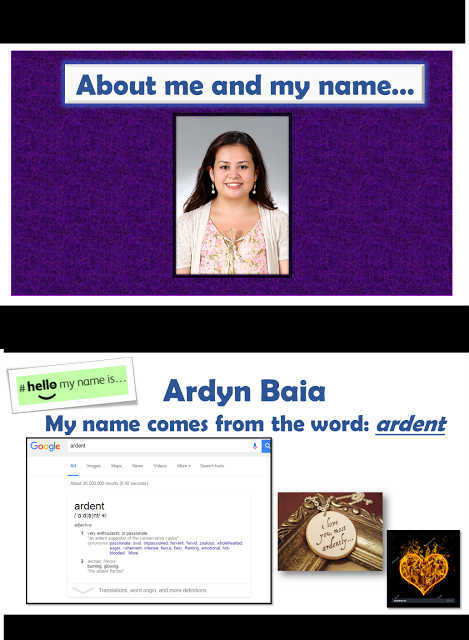 Ask students to guess what nickname matches the person. Note – these are fictional characters and nicknames. Answer Key: 1. Fast Feet 2. Medal Man 3. D.C.
Tell the students to complete the dialogue on the slide and present around the class. Do it in pairs or groups. Read the slides and discuss. Explain the idea of an acrostic poem as simply as possible. Read the ‘Thor’ acrostic poem. Show your example with your name. Write a superhero acrostic poem as a class. Do Hulk as you read about it earlier. Ask the students to write their own. Help around the class. Update: I made another reading about names of foods , here it is, copy & paste it in a word doc.